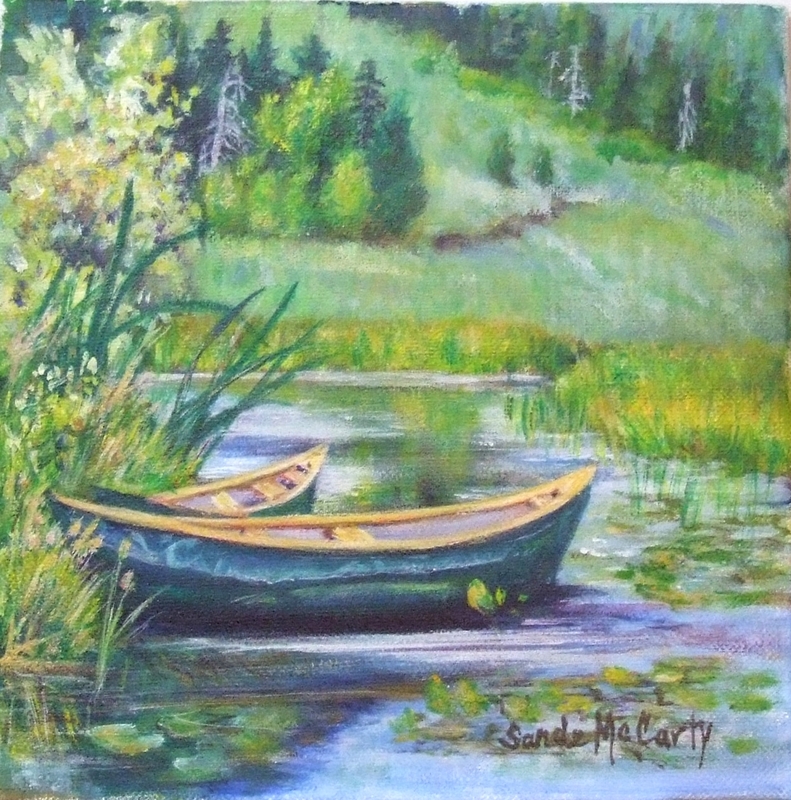 Two canoes, a secluded place, and a beautiful spring day...you finish the story about this rendezvous. It's Acrylic on Canvas. My thanks to Shawn Parker for his photo reference that he shared on Artists Reference Photos. 11.125" x 11"17.125" x 17"23.25" x 23"